The creator and designer of the Short Bass One is Mimmo Peruffo chairman & owner of Aquila Corde Armoniche Srl. Always Peruffo stood out for his passion for Lutherie thanks to the skills transmitted from his grandfather who was a band director and luthier himself. 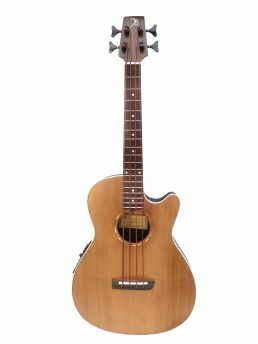 Short Bass One comes in contrast with the current procedures for the design of a musical instrument. It is in fact realized literally ‘around’ to a new type of strings he invented: an elastic base loaded with copper powder in order to provide maximum power of the bass. 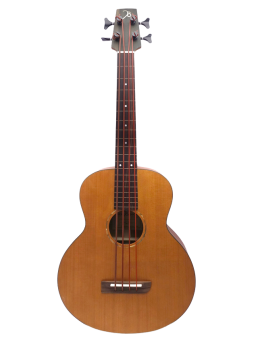 Aware of the potential of this new and innovative kind of string Peruffo therefore began a series of tests that led to the realization of an acoustic bass of small size yet of great power and acoustic homogeneity that actually realizes the sound of the double bass both in acoustic and amplified. Finally, a totally portable’ Double bass’. From now on also a common guitarist can aspire to become a strong bass player. You’ve never heard about such a musical instrument before, just because it did not exist before.